Dramatic spending two months into campaign. Bill Nelson at about $3 million. 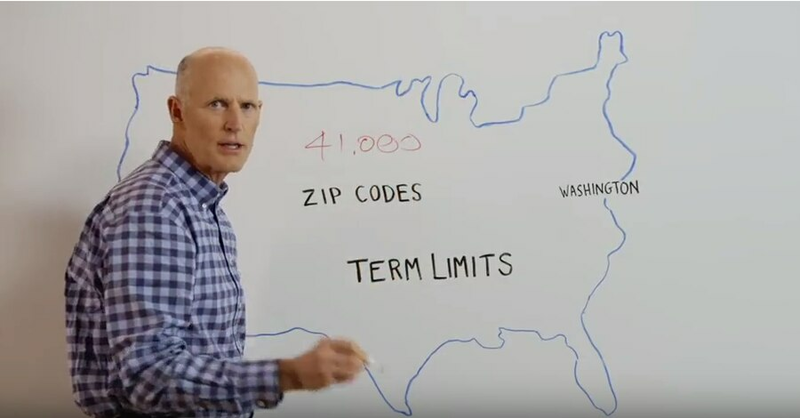 A screenshot from Scott's first ad. Florida's U.S. Senate race is effectively tied, but the spending just grows more lopsided, $17 million for Rick Scott to roughly $3 million for Bill Nelson. Nelson can take some comfort in that after weeks of bombardment, the race is even, per a new Politico poll out Monday, though it showed a wide advantage for the Republican governor among older, reliable voters. But Scott is also following the same path as his two previous elections. He overwhelms his opponents with money for a narrow victory. * Nelson has spent nothing on TV but has done some digital advertising, though the campaign declined to say how much. ^ The super PAC on Monday said it had reserved "seven figures" in Florida starting after Labor Day.